I Am Team GB day, that England Handball was involved in, saw close to 1 million people take part across the country, according to YouGov figures. The figure far surpassed the target of 300,000 participants. The YouGov research also suggests, that of people who were aware of the I Am Team GB campaign, 4 million say they feel inspired to do more physical activity. 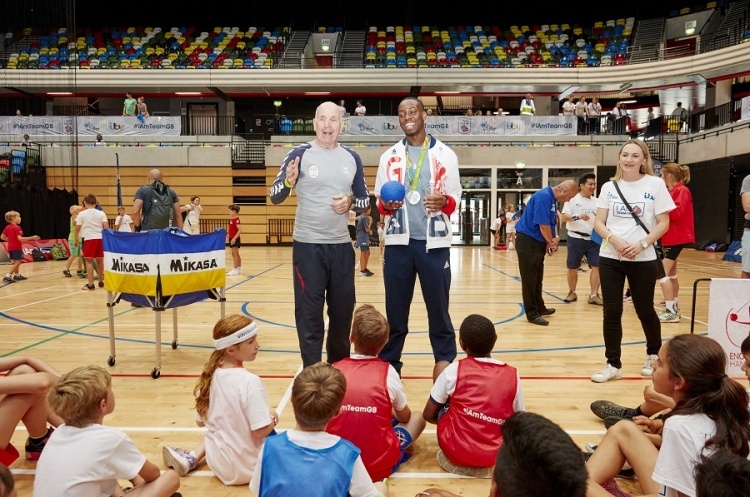 The Copper Box was one of the iconic venues to host I Am Team GB events on 27 August. On top of watching top-quality handball at the Copper Box International Handball Cup - which is run by London GD - people were able to give handball a go courtesy of England Handball. Activities included Try Handball, a target net, and a speed gun. Olympic heroes such as Max Whitlock and Lutalo Muhammad also tried their hand at the sport.